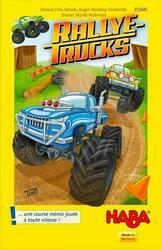 The players compete in their rally truck race and try to win the coveted trophy. To get there, they must have under the hood, but also have a good memory. Whoever returns the tiles to memorize in the right order has a good chance to distance the other players. The winner is the first to cross the finish line with his rally truck.